Christmas cards are a central part of the festive experience. Thankfully, there are so many varieties of Christmas cards out there to ensure that your festive greetings are always fresh and never stale. With the advent of new technologies, some Christmas cards have evolved to offer a rich multimedia experience rather than simply text and pictures on paper. However, there's no doubt that the traditional paper Christmas card isn't going anywhere, as evidenced by the sheer number and variety of such cards out there. 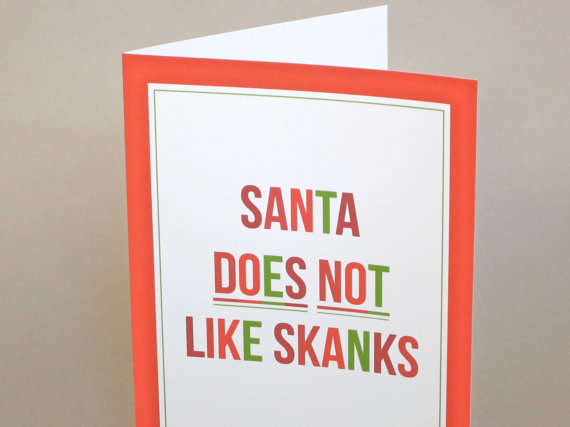 Christmas cards also vary in their tone. Many carry traditional, classic greetings but there are others that offer more tongue-in-cheek and even scandalous forms of greetings, perfect for the more playful and youthful people on your Christmas list.